Most companies need Helpdesk softwares in order to manage their relationship with clients. Just making sure that their issues and questions are properly solved can make a huge different in your profit. Furthermore, keeping a good relationship with your customers is essential if you aim to keep them loyal to your company. If this is your case, you have probably realized that you need a way to organize information for each and every client, so you can track and solve their issues efficiently. Helpdesk softwares are very handy. But we don’t think they solve the problem as efficiently as they could. Dedicated softwares, as good as they are, always add more things for you to think about, more tabs on your browsers and more passwords to remember. 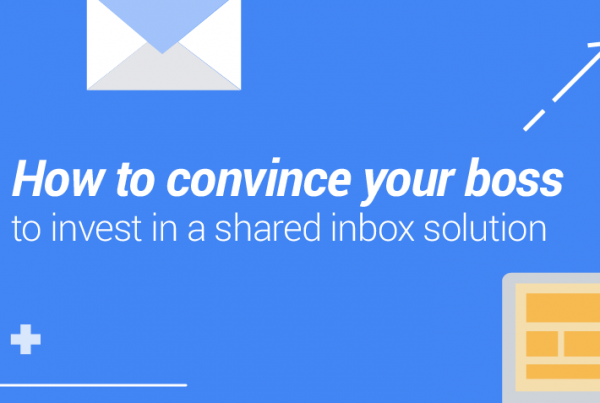 There are several use cases for a shared inbox. Can you imagine a scenario in which your work goes unified in order to solve customers’ issues? 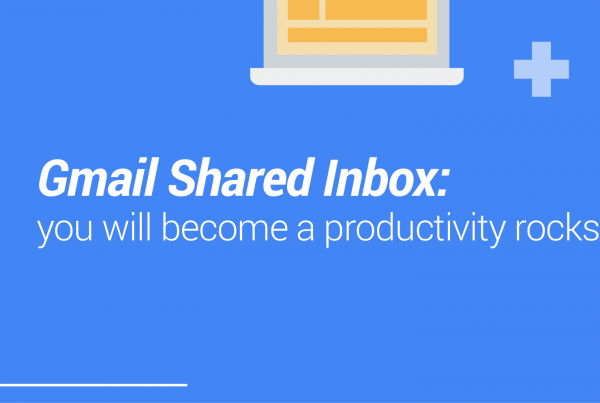 We believe email is a centralizing point in digital work. Sometimes people don’t realize how much they use email on a daily basis. And not only that, but also how much better they could use it. There are numerous companies that provide Helpdesk support, but they all require a specific software, and it requires new logins/passwords and new information for your employees to learn. This often ends up in people needing constant support to use, and it makes your work seem less professional. When thinking about email, many people see it an antiquated tool, that doesn’t provide collaboration well enough and makes work take longer — which is why they go to dedicated softwares. If you think about it, Helpdesk tickets are nothing less than Emails, converted into tickets in an external app (Helpdesk softwares). Once customer support teams work on their Helpdesk external tools to manage those tickets, they are finally converted back to? So tell me why the hell do you need to leave your Inbox to manage something that will always start and finish as emails? 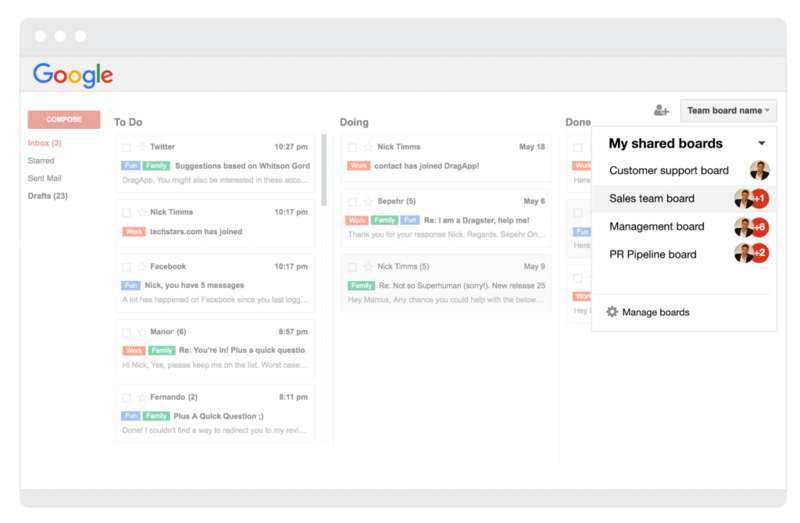 Your Inbox were just a few steps away from allowing your team to use it as a Helpdesk solution. So how about making it all go away and power up e-mail with incredible features? This is what shared inboxes have the power to do to your email. With shared inboxes and the right features, your whole team can collaborate in the same space, in real time. Better than that, inside a space they already know very well: their own inbox. These features work seamlessly together so you can have a clear understanding of the process. The Kanban view is also very handy, so you can focus in the list that makes more sense to you, minimising distractions. All of this happening right inside your Inbox. No more extra tabs, extra apps, extra password, extra headache. In Drag Helpdesk boards, your emails become cards in a Kanban board. 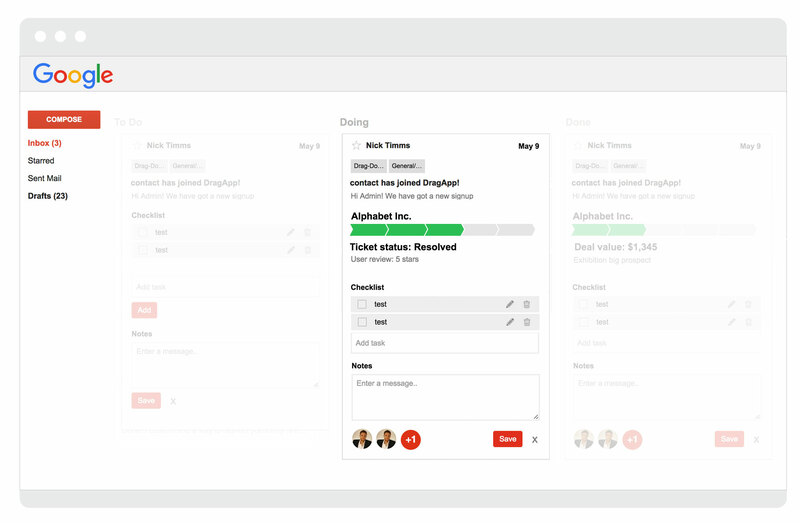 It means you can drag and drop, customize your pipeline, track status of customers and collaborate with your team in shared inboxes. Basically, every card is ready to receive Helpdesk information. If you want your customers and company to stay still, do nothing. But if you see potential in your business and climb in a rocket speed, Helpdesk can make a huge difference for you. 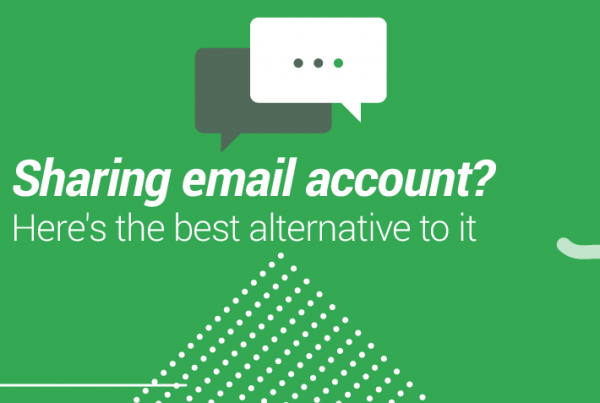 Better than that, we can keep it all into your existing email.